GLOTECH plans, designs, procures and installs complete classified and unclassified cabling systems for the Coast Guard and the Department of State. This includes all facets of ANSI standard copper and fiber design, engineering, installation, termination, distribution, patching, and troubleshooting. We design and then build out complete connectivity solutions and cable plants for classified and unclassified voice, data, and video for large campuses. As a testament to the quality of the work performed for the Coast Guard, our approach has become a formal standard and we are now called on to represent the government when other vendors are asked to perform infrastructure work. 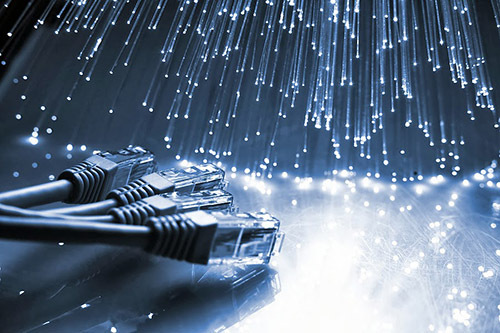 GLOTECH is also experienced with the various new and legacy media, connectivity, and cabling systems in use. We also understand the sometimes more difficult task of retrofitting new infrastructures into existing buildings where cutting over production systems and decommissioning legacy infrastructures presents challenges. We have also accomplished complex IT and telephony infrastructure design for major renovations of a number of Federal facilities in the DC Metro area. We understand the idiosyncrasies of legacy infrastructures through our work in the overseas Embassy environments where the cabling and connectivity for any number of systems and programs such as telecommunications, classified and unclassified networks, video and CATV/Satellite TV systems, and multiple other foreign affairs agencies’ networks and campus telephone systems run through the same main and intermediate distribution frames. GLOTECH understands the need to ensure BICSI certifications are held by technical staff involved in cabling and infrastructure installation, configuration and maintenance. We are also well positioned to support the full range of cabling, connectivity, and infrastructure requirements associated with the geographically dispersed environments that are common.